Follow us on Twitter @Tails_live. It also fixes other security vulnerabilities. You should upgrade as soon as possible. On some computers, after installing Tails to a USB stick, Tails starts a first time but fails to start a second time. In some cases, only BIOS (Legacy) was affected and the USB stick was not listed in the Boot Menu. We are still investigating the issue, so if it happens to you, please report your findings by email to tails-testers@boum.org. Mention the model of the computer and the USB stick. This mailing list is archived publicly. Reinstall your USB stick using the same installation method. Start Tails for the first time and set up an administration password. Download the .img file from our development server. Install it using the same installation methods. We don't provide any OpenPGP signature or other verification technique for this test image. Please only use it for testing. Automatic upgrades are available from 3.12, 3.12.1, and 3.13 to 3.13.1. If you cannot do an automatic upgrade or if Tails fails to start after an automatic upgrade, please try to do a manual upgrade. Tails 3.14 is scheduled for May 14. If you still have problems typing in Bopomofo or Pinyin, please let us know on tails-testers@boum.org (public mailing list) or tails-bugs@boum.org (private email). Automatic upgrades are available from 3.11, 3.12~rc1, 3.12, and 3.12.1 to 3.13. Here is a summary of what happened in Tails land in February, 2019. This month has seen the highest number of Tails boots per day ever: 27% more than a year ago! This is motivating: it confirms that Tails is useful and relevant. Tails 3.12.1 was released on February 13. A critical vulnerability in the Skia library, used by Firefox and Chrome to render graphics, prompted this emergency release. Tails 3.13 is scheduled for March 19. We have coordinated with the Tor Browser team wrt. the scope and timeline of upcoming big changes that will impact our work. We improved the known issue about clock going backwards (#15599). The sysadmin team met a few times to update our plans for next year. We fixed the remaining known regressions that were introduced where we migrated our website from Apache to nginx: #16220, #16259. The 2 applications that we submitted to the NLnet NGI Zero PET project got rejected. emmapeel and sajolida attended FOSDEM in Brussels. Estrella Soria will organize a Tails workshop at the Cyborgrrrls technofeminist gathering on Thursday March 14 in MedialabMX, Ciudad de México. sajolida and emmapeel will be at the Internet Freedom Festival on April 1–5 in Valencia, Spain. sajolida will hold there a workshop on Creating usable tools from day one with paper prototyping. schabenstolz explains how to hide a Tails USB stick inside a ThinkPad X230 and connect it to an invisible switch to start on either the hard disk or the internal Tails USB stick. 10 065 downloads of the OpenPGP signature of a Tails USB image or ISO from our website. 71 bug reports were received through WhisperBack. Tails 3.12 was released on January 29 (major release). For macOS, the new method is much simpler as it uses a graphical tool (Etcher) instead of the command line. For Windows, the new method is much faster as it doesn't require 2 USB sticks and an intermediary Tails anymore. The resulting USB stick also works better on newer computers with UEFI. For Debian and Ubuntu, the new method uses a native application (GNOME Disks) and you don't have to install Tails Installer anymore. For other Linux distributions, the new method is faster as it doesn't require 2 USB sticks and an intermediary Tails anymore. Tell users to use sudo when they try to use su on the command line. A bunch of Foundations Team members had a sprint focused on porting Tails to Debian 10 (Buster). For details, see the full report. We wrote how to troubleshoot Wi-Fi not working and which USB Wi-Fi adapters work in Tails. We documented how to disable the automatic screen locker if you configure an administration password. We published an interview with Bea who is spreading the use of Tails in a grassroots political organization in Latin America. We added visual feedback upstream when opening KeePassXC, Electrum, and OnionShare. We evaluated the cost/benefit of solving many small UX improvements. Our infrastructure was targeted by a distributed denial-of-service (DDoS) attack that caused a couple of temporary outages. We're discussing ways to protect ourselves in the future. We kept polishing the automated test suite for Additional Software and hope it will be merged in time for the next Tails release. We kept investigating options to make our CI faster, shorten the development feedback loop, and thus make our developers' work more efficient and pleasurable. We will soon be able to benchmark our currently preferred option. We close our end-of-year donation campaign. We don't have the final numbers yet. We submitted 2 applications to the NLnet NGI Zero PET project. 2019-01-21: Tails 3.12 fait évoluer sa méthode d'installation : quels changements concrets by David Legrand in Next INpact. Tails has been started more than 749 304 times this month. This makes 24 171 boots a day on average. 7 403 downloads of the OpenPGP signature of Tails ISO from our website. 88 bug reports were received through WhisperBack. This release is an emergency release to fix a critical security vulnerability in Firefox. Update Tor Browser to 8.0.6. This fixes a critical vulnerability in the Skia library used by Firefox and Chrome to render graphics. If you are curious about the maths behind this vulnerability, you can read The Curious Case of Convexity Confusion by Google Project Zero. To upgrade, automatic upgrades are available from 3.10, 3.10.1, 3.11, 3.12, and 3.12~rc1 to 3.12.1. In short, instead of downloading an ISO image (a format originally designed for CDs), you now download Tails as a USB image: an image of the data as it needs to be written to the USB stick. We are still providing ISO images for people using DVDs or virtual machines. The methods for upgrading Tails remain the same. 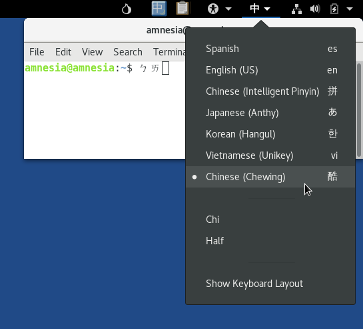 Update Linux to 4.19. Update Intel and AMD microcodes and most firmware packages. This should improve the support for newer hardware (graphics, Wi-Fi, etc.). Remove Liferea, as announced in Tails 3.9. Update Tor Browser to 8.0.5. See also the list of long-standing issues. To upgrade, automatic upgrades are available from 3.10, 3.10.1, 3.11, and 3.12~rc1 to 3.12. Tails 3.11 was released on December 11 (bugfix release). Tails 3.12 is scheduled for January 29. We continued working on releasing Tails using a disk image format. This will make it easier to install Tails on Windows and macOS. Part of this work was to switch our IDF format to JSON and to rewrite and release a new version of the Tails verification extension. Updated onionshare, torsocks and tails-installer in Debian. We planned the final steps to make our web translation platform production-ready. hefee, emmapeel and our sysadmins have continued working on integrating the translation platform into our infrastructure. The translation server (not yet in production) now updates its Git repository automatically using scripts. A staging website shows translators how their translation will look like in context, once merged into our master branch. The staging website (not yet in production either) is updated automatically. We kept working on our new server backup setup, which now works fine in production. Our mailing lists were migrated to new providers (puscii, Autistici/Inventati, and some self-hosted on our own infrastructure). Many thanks to boum.org for the support in the last ten years. Thanks as well to puscii and Austistici/Inventati for stepping up now. We started running the authoritative nameserver for a couple of Tails DNS zones. We added support for 4 new cryptocurrencies. We wrote about our plans for 2019. We closed our donation campaign but we don't have the final numbers yet. emmapeel and sajolida will be at FOSDEM on February 2–3 in Brussels, Belgium. Tails has been started more than 723 198 times this month. This makes 23 329 boots a day on average. 8 125 downloads of the OpenPGP signature of Tails ISO from our website. 74 bug reports were received through WhisperBack. Make the USB image the main supported way to install Tails (refs: #15292). On first boot, grow the system partition to a size that's a factor of the size of the boot medium and randomize GUIDs (Closes: #15319). Upgrade Linux to 4.19, version 4.19.13-1 which fixes the issue where Intel graphics cards booted to a black screen (Closes: #16073, #16224). Fixes CVE-2018-19985, CVE-2018-19406, CVE-2018-16862, CVE-2018-18397, CVE-2018-18397, CVE-2018-18397, CVE-2018-18397, CVE-2018-19824, CVE-2018-14625. Remove Liferea (Closes: #11082, #15776). Tell the user they need to use sudo when they attempt to use su (Closes: #15583). Fix Totem's access to the Internet when it's started from the Applications menu. There are no known issues specific to Tails 3.12~rc1 so far. How to test Tails 3.12~rc1? If you find anything that is not working as it should, please report to us on tails-testers@boum.org. Bonus points if you first check if it is a known issue of this release or a longstanding known issue. Start Tails 3.11 on a USB stick installed using Tails Installer and set an administration password. and enter the administration password when asked for the "password for amnesia". After the upgrade is installed, restart Tails and choose Applications ▸ Tails ▸ About Tails to verify that you are running Tails 3.12~rc1. Tails 3.12 will be the first release to use our simplified USB installation method so we really would like you to try it out with this release candidate! Then follow the new installation instructions. You can also install 3.12~rc1 by following our old installation instructions, skipping the Download and verify step. We need your help to test the simplified installation methods of Tails that we will release with 3.12 on January 29. The method will be much simpler and faster, especially for macOS users, but for Windows users as well. Debian and Ubuntu users won't have to install a specific program anymore and the process will also be faster for other Linux users. In short, instead of downloading an ISO image (a format originally designed for CDs) you will download a USB image that is already an image of the data as written to your USB stick by Tails Installer. So no need for Tails Installer anymore and no need for an intermediary Tails nor a second USB stick when installing from Windows or macOS. You should be able to create a persistent volume right away. The methods for upgrading Tails will remain the same. Note that the USB image doesn't make Tails work on more hardware but it might work more reliably on recent hardware than the intermediary Tails (currently created using Universal USB Installer on Windows and dd on macOS). The OS you installed from. The model of the computer you started from. Report your findings by email to tails-testers@boum.org. This mailing list is archived publicly. Mid-October, we started our donation campaign by explaining why we need donations. We then described the achievements of 2018 made possible by your donations. Today, we're unveiling our plans for 2019. If you like them, please take the time to donate. So far this year many more people have been donating (+61%) but we have raised less money overall (-51%) because we are missing bigger donations, especially in bitcoins. Having many more donors this year is an excellent sign that Tails is important for more people and that we are doing a good job at helping them. We are extremely grateful to all of you who not only want to improve your safety online, but also understand that we need your help to sustain Tails. Being backed by a large number of people making smaller but steadily donations is the best we can dream of. So, thank you! In January, we will release a brand new installation mechanism to finally make it easy to install Tails on macOS (and also easier on Windows and Linux). We will add support for Secure Boot. We will remove the need for manual upgrades and make it possible to always do automatic upgrades (except for major upgrades, like Tails 3.0 to 4.0). We will also research lighter and more robust upgrade mechanisms. We will redesign our homepage to explain better what is Tails to new users and why they should use it. We will make it much easier to translate our website and train new translators, hopefully leading to offering more languages available on our website. We will upgrade Tails to Debian 10 (Buster), planned for mid 2019. As always, most of the day-to-day work that we do is invisible to our users and we will tackle many technical migrations in our code and infrastructure (Debian 10, Tor Launcher as Web Extension, Jenkins 2, Gitolite 3, Java 11, etc.). We will contribute the security improvements that we wrote for the Thunderbird autoconfiguration with Thunderbird upstream. Thanks to your generous donations, we will finally have a budget dedicated to do many more smaller usability improvements everywhere in Tails. In 2019, we will put a lot of efforts on making Tails easier to understand and install. More and more people will get to know and use Tails to protect themselves. We all want this, and you, by donating at your level, can help to make this happen.